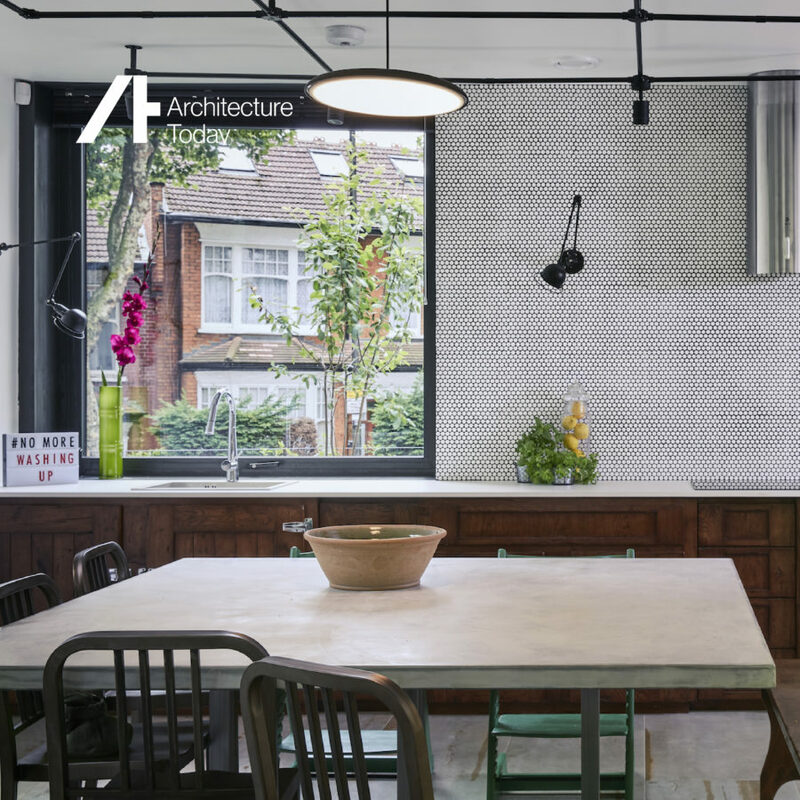 Muswell Hill is an elegant example of cohesive design, linking traditional and contemporary architecture. Alongside a faithful reconstruction of a Victorian villa that stood on the site, Mulroy Architects have added a striking contemporary companion volume to form a unique three bedroom family home. The large entrance opens towards an impressive glazed light-well directly above the visual focus for the property, the bright yellow steel staircase. Polished concrete flooring continues through to the open plan living and kitchen space forming the heart of the home. Arched windows softly frame each room, showcasing the clients’ strong decorative style. The contemporary element adds two large bedrooms and adjacent bathrooms, which echo the entrance sky light, allowing natural light to flow in easily.